The Fitting Score Card will help fine tune any changes or recommendations in areas such as set make-up and equipment alterations. 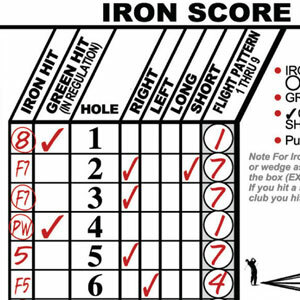 The Fitting Score Card is used as an aid in evaluating your equipment and your game. You can fill it out to keep track of any portion of your round that you desire or you can fill it out completely to take a full look at what happened during your entire round. Filling out a number of these cards may help even more and may turn out to be a real game improver. Information from this exercise has many specific uses in evaluating strengths and weaknesses regarding your equipment, swing and overall golf game. 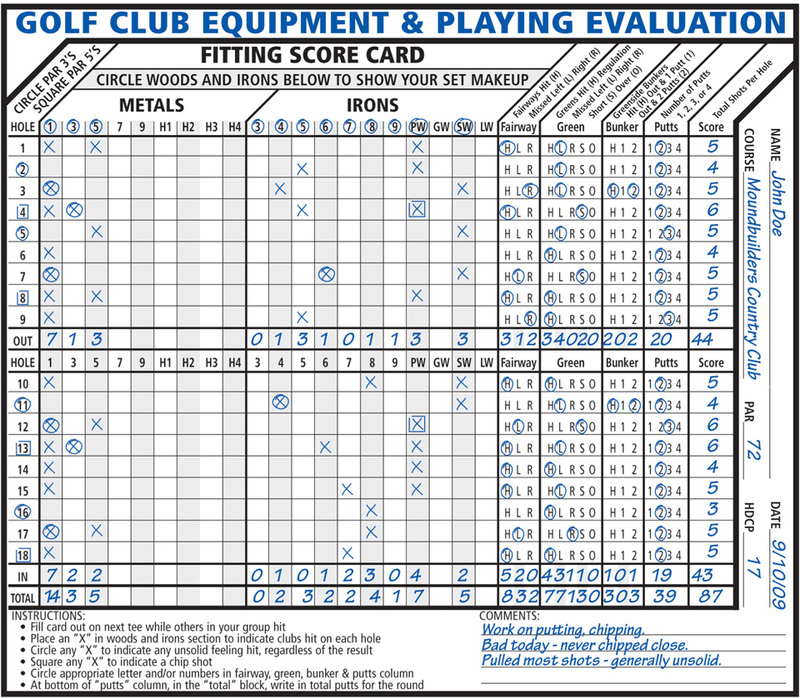 From an equipment standpoint, the Fitting Score Card will help fine tune any changes or recommendations in areas such as set make-up and equipment alterations. Also it may aid in evaluating any swing problem areas and/or needed practice to maximize your scoring potential. 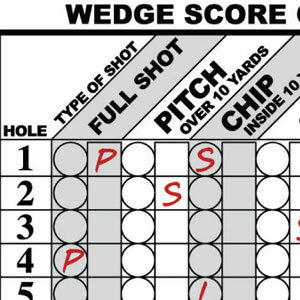 After each Fitting Score Card is completed, look it over closely and see what you can determine about your own game. The example analysis for the Fitting Score Card is provided here to help you better evaluate your own Fitting Score Card after it is filled out. 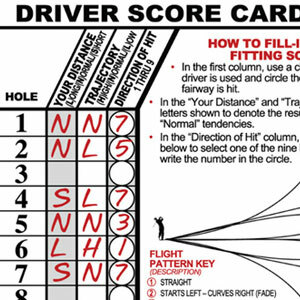 To fully maximize the use of the Fitting Score Card it is suggested that the help of a golf professional or certified club fitter be utilized. 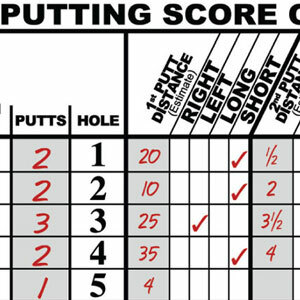 Use the Fitting Score Card instead of your course score card. Read the instructions carefully at the bottom of the card. Notice Par 3’s are circled and Par 5’s are squared. Also the player’s set make-up is circled. The player’s name, date, course, par and handicap are filled in. Improve your wedge play, green hitting ability and putting. Find out why ball is generally pulled left of green when green is missed. You hit 8 out of 14 fairways, missed 3 left and 2 right with 4 drivers being unsolid. Driver inconsistent and not solidly hit about 25% of the time. 3 fairway metal was not hit solid, but 5 fairway metal was solidly hit. The irons are usually hit solid but left of the green and short. Check for proper lie angles on irons or swing problem. General Analysis And Comments: Check playability specs on driver, 3 fairway metal and the lie on irons. Also, look at a putter fitting and consider a 60º wedge for better up and down scoring when a green is missed in regulation. A golf lesson from your golf professional or practice in specific weak areas is recommended. The more Fitting Score Cards you fill out will provide even better data for analysis of your equipment, playing strengths and weaknesses.